Gulbarga fort is situated in Gulbarga District of Karnataka. Gulbarga also known as Kalaburgi is located in Northern part of Karnataka, India. Gulbarga was officially named as Kalaburgi in the year 2014. Kalaburgi is a Kannada word which means Kal means stone and Burgi means fort. Gulbarga is derived from Persian language ‘Gul’ means flowers and ‘berg’ means leaf. Gulbarga was known as city of flowers. The official language is Kannada. Gulbarga fort is located in Gulbarga city of North Karnataka, India. 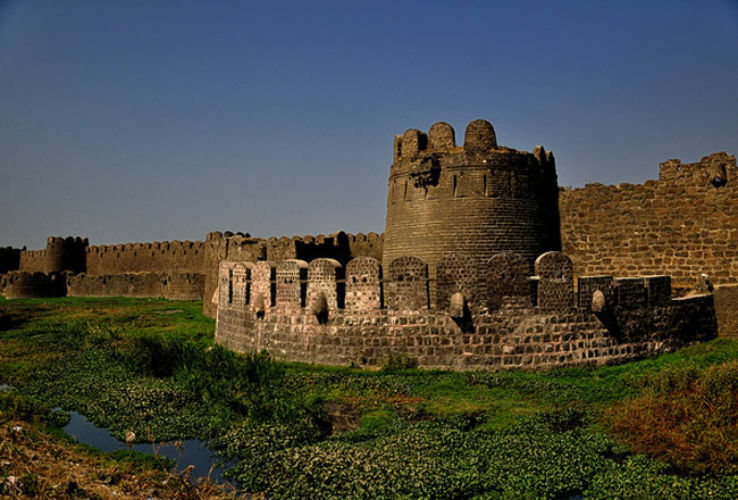 It is believed that the fort was first built by Raja Gulchand and later strengthened and enlarged by Al-ud-din Hasan Bahamani of Bahamani dynasty in the year 1347 after taking back all the ties with Delhi Sultanate. The fort was developed phenomenally only during the Bahamani period. Many structures like mosques, tombs and palaces were built within the fort. Before the Bahmani dynasty came to rule Gulbarga there were many dynasties which ruled over the district. Some of them are the Rashtrakutas, Chalukyas, Kakatiya dynasty, Kings of Warangal and Hoysalas of Halebidu. Gulbarga was made the capital of Bahmani dynasty from 1347-1527 and Gulbarga was made as its head quarters. Later in the year 1424 the Bahmani moved the capital from Gulbarga to Bidar. The fort was however completely demolished by the Vijayanagara Empire. 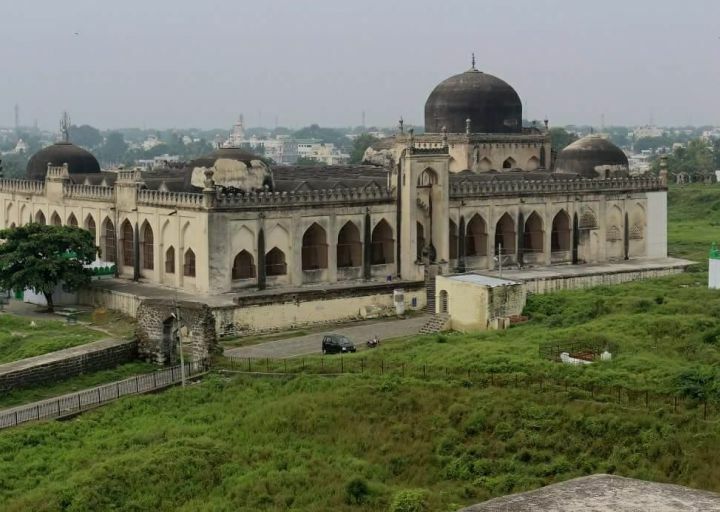 It was rebuilt by Yusuf Adil Shah who established Bijapur Sultanate after defeating the Vijayanagara Empire. The fort was very well planned and built. The canal system built around the fort in such way that it was very difficult for the enemies to attack. Two major rivers that flow close to the fort are Krishna and Bhima. The fort is built in the Persian architecture of Iran. The beautiful Persian architecture in Deccan came into existence only after the establishment of Bahmani dynasty. Built in the indo-sarcenic style the tomb of Khwaja Bande Nawaz is an important monument in the fort. Khwaja Bande Nawaz was a sufi saint who came to Gulbarga in the year 1413. There are paintings on the walls of the tomb and the ceilings have both Turkish and Irani fusion of style. There is a mosque which was built by Mughals. Another important monument in the fort is the Jami Masjid built in the year 1367 AD. It was built by a Spanish architect. The door ways are similar to that of the Great Cathedral Mosque of Cordoba in Spain. 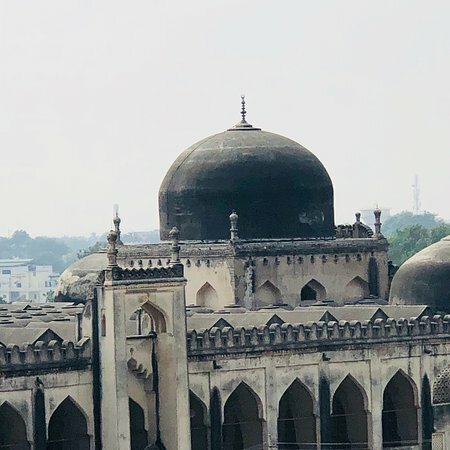 The mosque was built to celebrate Gulbarga as capital of Bahmani dynasty. The mosque consists of five large domes, 75 small domes and 250 arches. The speciality of the mosque is that it does not have any open courtyard and also does not have minarets. The mosque has one large dome on the west side and small domes at the four corners of the mosque. It is considered as one of the most unique and beautiful mosque in South Asia. Other than the above Gulbarga fort is the world’s longest canon is located in Gulbarga fort. The cannon was discovered by Ayazuddin Patel (photographer and National award winner), Rehaman Patel and coin collector Mohammed Ismail. It is called as Bari Gazi Toph with measurement of 29 feet in length, 7.6 feet in circumference; diameter is 2 feet and with thickness of 7 inch. Government is taking various steps to protect this precious canon. Some of the other touristic places in Gulbarga are: Sharanabasaveswara temples, Jevargi, Narayanapura Dam, Sannathi. Good time to visit Gulbarga is from October to February. Summers are very bad and hot so not advisable to travel. Gulbarga is one of the major districts in Karnataka. It is well connected by road and rail from different parts of the country. By air: Sholapur is the nearest airport to Gulbarga. It is at a distance of 81Kms from Gulbarga. One can also travel to Bangalore or Hyderabad and then take a bus or train Distance between Hyderabad and Gulbarga is 232Kms and distance from Bangalore is 630Kms. Gulbarga is well connected through rail and road from different parts of the country. There are many public and private buses that run at regular intervals.